Sakudaira station is one hour and twenty minutes from Tokyo on the shinkansen. 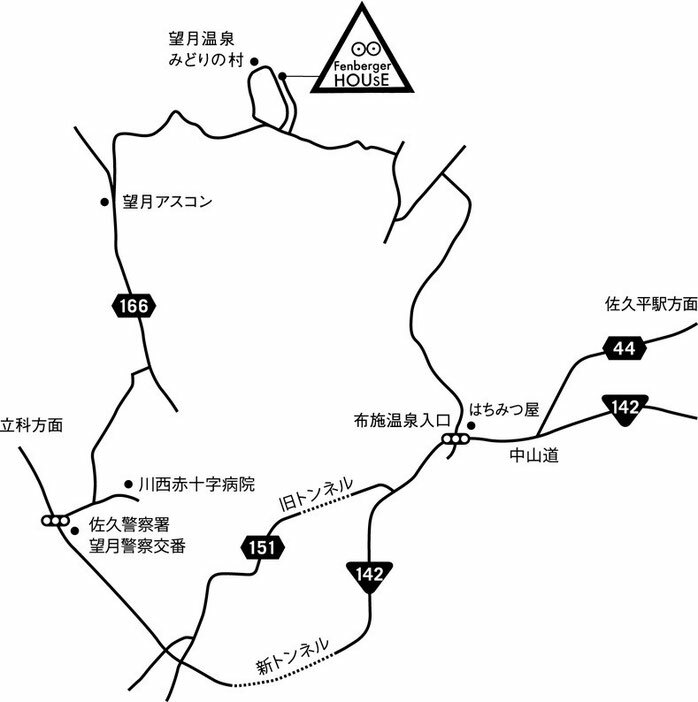 Fenberger House is a twenty minute car journey from the station, near Midori no Mura onsen. Taxi one way costs approximately ¥5000. As a private museum with limited funds the house is not fully accessible, and is full of stairs and slopes. Please contact us if you have further questions. Thank you!